Royal Grass Silk30 Fresh has a 30 mm grass fibre. 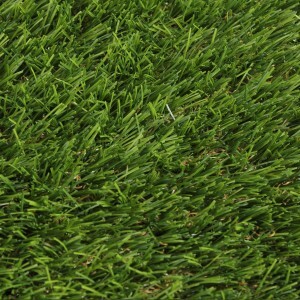 This medium high fibre grass carpet has a full grassy look and give a freshly mowed appeal. Perfect luxury in your garden! Silk30 Fresh consists of two shades of green to give the grass the most natural look possible. The MiNT technology gives fibre a mat, silky colour and a strongly reduced reflection, preventing the artificial lawn to have a ‘unrealistic and plastic look’. As a result, the fibre remains nice and upright and gives less reflection makes it looks very natural. It look just like fresh spring green grass, but even better we dare to say! The Royal Grass Silk30 Fresh consists of no less than two popular green colors. The mossy wire also has a green tone in it. This combination gives your lawn a green color that can best be seen as the green tone you see in lawns when spring turns into summer. 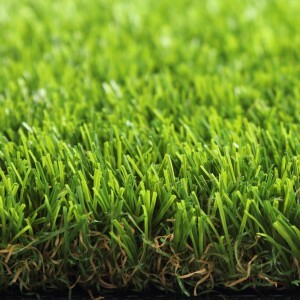 A fresh green lawn without being too powerful. You can evaluate the different colours and how they appeal to you at one of our show gardens or by requesting samples. The effect of the colour is of course not as strong on a small scale as it is over a large surface. 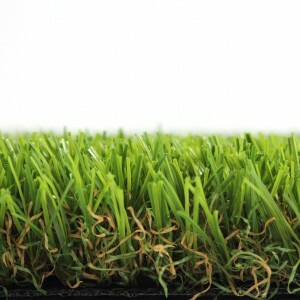 This fresh green colour is attractive and the light brown synthetic thatch gives it an additional natural aura.